Our product range includes a wide range of online viscometer, dv-ii viscometer, viscometer and kv100 capillary viscometer. With water-based and solvent-based systems, manual viscosity control will always be less efficient than a good automatic viscosity control system. The Brookfield AST100 automatic viscosity control system from Fullbrook Systems offers accurate and precise control over the printing and coating process. Unlike its predecessors the AST100 has no moving parts and no small or narrow gaps. 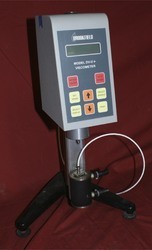 To the printer this means that the viscometer has a long service life and is easy to clean. Saves time money and ink (by as much as 20%!) by always printing at a consistent viscosity. LV is for low viscosity materials and can measure the â€œthinnestâ€ materials. Typical examples include inks, oils, and solvents.